Seeking a Dependable Lake Nona Shutter Company? Found in the city limits of Orlando, Lake Nona is a small area part of the city that’s up & coming as far as window treatments are concerned. Homes with windows without any coverings are vulnerable to losing energy through them. This is why you need American Blinds and Shutters Outlet for quality installations. You can find lots of reasons to buy plantation shutters, but for the most part, they are an affordable window treatment that looks and functions great. Our Lake Nona shutter company can have them delivered and installed for you in on time at all. Cellular – They are also referred to as honeycomb blinds. 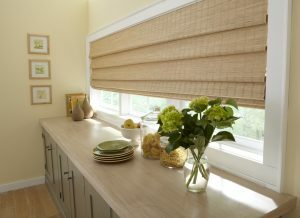 You won’t sacrifice any privacy with these blinds, but you will be allowed to filter as much sunlight as you’d like. Roman – Drawn from the bottom by cords, the Roman blinds create a horizontal look when fully raised. They are made in bamboo, solar and woven fabrics. Venetian – One of the most common types of blinds, Venetian blinds are very affordable as they can be hung in just about any room in your home. They come in varying widths and materials for your personal selection. Do you find it annoying that when wanting drapery, for your bedroom windows, there are fewer selections at your local home goods store? Well now you don’t have to suffer through those problems any longer as American Blinds and Shutters Outlet can create custom drapery& curtains for your home. We find that our clients love custom drapery due to the new found love they have for their bedrooms. Custom drapery can create a whole new look for a small investment. New options will arise with custom drapery in your bedroom too. We are able to offer you a wide selection of hand-picked fabrics that aren’t mass produced like you’ll find at your local home goods store. We’re the shutter company that cares and can be trusted when designing custom drapery for the home. If you are looking for a Lake Nona shutter company, then please call 407-492-1009 or complete our online request form.